FTC disclaimer: I received a copy of this book in exchange for a fair and honest review. The Total Christmas Makeover By Melissa Spoelstra. But Christmas. I have always loved Christmas. I don't have kids, plus very little family. The last few years I have just spent Christmas Day by myself, taking a nap, reading a book, or even working. My husband gets time and a half on Christmas and we live too far from any family to be able to visit, so the last few years, Christmas has been like any other day to us. But I remember how fun it was to choose gifts for people. I remember when I was about 6, I asked Mom for some money. She gave me a little to buy gifts for everyone. I didn't budget it and figure out how much I had for each person. When it came to Papaw, I only had about 50 cents left, and the only thing I could find him in that price range was a sample of coffee from the grocery store. But, it was something that was laughed about for many years, and I even often bought him coffee (increasing in size) as I got older because everyone loved that story so much. But I hated how busy I was during December when I was in college. Finals were coming up, and there were so many great activities to celebrate the season. I think back to that time and I would guess the business I had then are much like many women feel now. It's easy to get caught up in all the traditions, gift buying, decorating, and every other must do item on our lists. This is a great book to help take a short break from the chaos that often surrounds Christmas and just rest for five minutes. There are 31 devotionals in three categories: Ritual, Relationships, Rest. 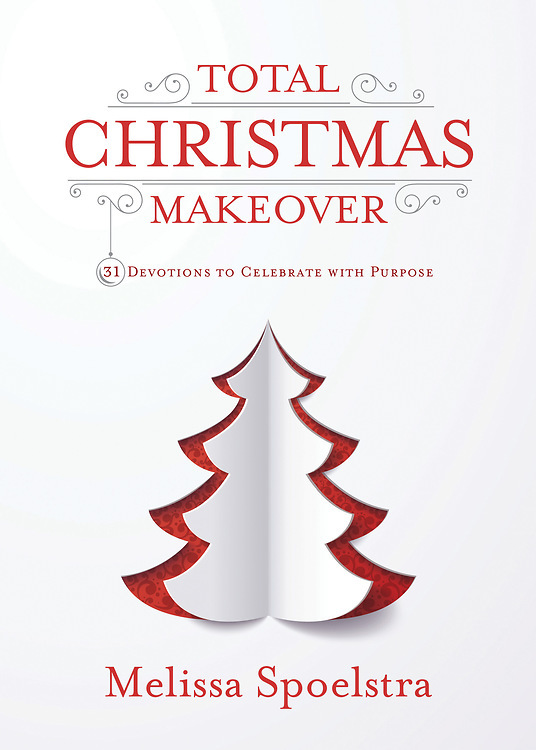 Each devotional contains the reading, questions for reflection, and a practical approach. I would have loved this book in the years I had more to do in the month of December, but even though I haven't even put up a Christmas tree in four years, it reminds me of so many great memories and the memories I hope to create in the future. (We hope to move closer to family so we can spend holidays with them and no longer be alone every single holiday.) Just because my parents are gone, I don't want Christmas to be any less special. I recently found some family, and the thought I can give some small thoughtful gifts and gag gifts again just thrills me. So I'll re-read this soon, and happily anticipate the future. I highly recommend this devotional, and I hope you will love it too.